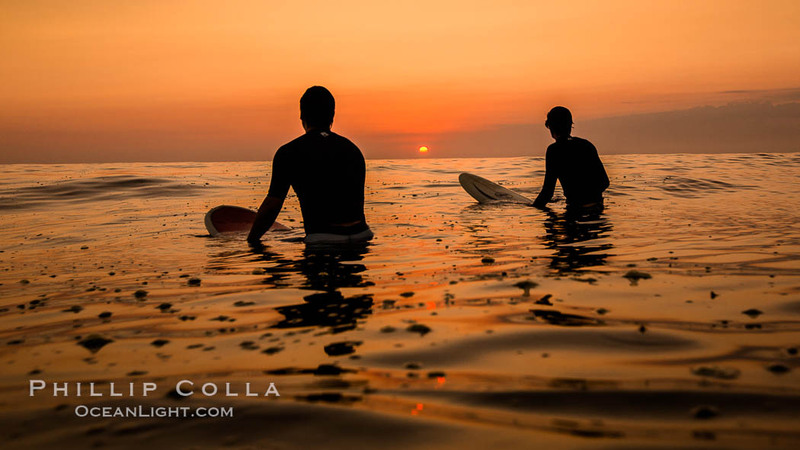 Blood Red Sunset, Surfers waiting for waves, Encinitas, California. These guys were enjoying the last hour of light, waiting around under the deepening red dusky sky, catching a few waves. Encinitas, California.